As CEO and Founder of Poolwerx Corporation, John O’Brien leads one of the world’s leading swimming pool and hot tub / spa service companies. An industry leader in both pool maintenance and franchising, John personally oversaw the establishment of Poolwerx in the USA. The brand has grown from its humble beginnings in Phoenix, AZ to spread east and west across the Sun Belt region. John has also held several senior leadership positions within the World Franchise Council (WFC) and Franchise Council of Australia (FCA) and advised the Australian government on a variety of issues facing franchising. He is a highly regarded speaker and panelist at international franchising events worldwide where he offers insight and advice to start-up franchising systems and developing franchise groups. After building a brand currently ranked #183 on the 2018 Entrepreneur Magazine Franchise 500 List, and being named Australia’s Franchisor of the Year, John is no stranger to success. It’s little wonder that he and Poolwerx are a force to be reckoned with! 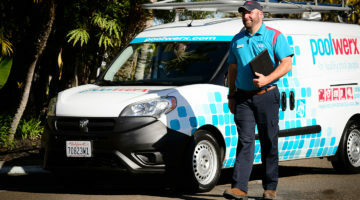 Splitting his time between the United States and Australia, John has seen the Poolwerx brand rapidly expand its presence and reputation for excellent service and support across the country. Under John’s leadership, Poolwerx continues to position itself as one of the most recognized and successful brands in both franchising and the pool and hot tub / spa industry. John’s unique approach to franchising gives every Franchise Partner a career path from which to build a multi-vehicle, multi-store and multi-million dollar enterprise. These Franchise Partners proudly take care of clients with a comprehensive range of quality pool and hot tub / spa cleaning, maintenance, training and repairs services.